It's my favorite day of the week to get inspired... welcome to Tuesdays at Ten June! In case you haven't noticed, I'm a huge fan of Sarah's work over on Life on Virginia Street. I've featured her bedroom updates, guest bath makeover and bad a$$ DIY beaded chandelier. Home girl is good. 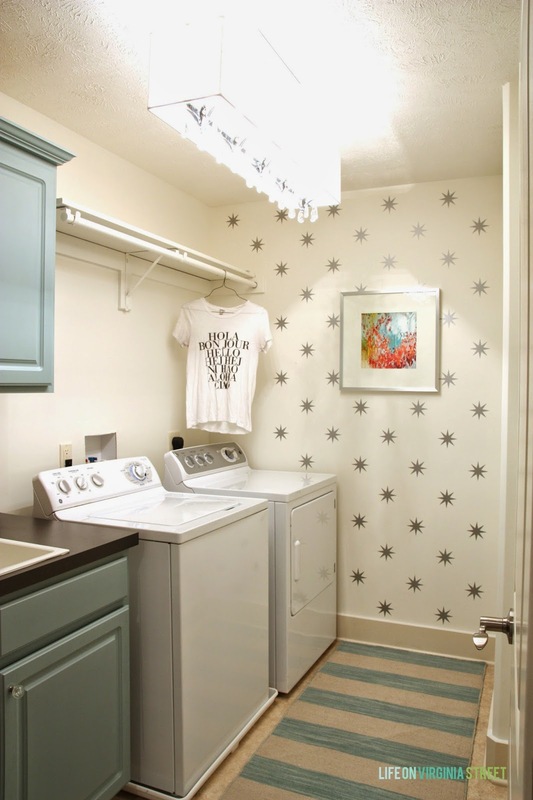 Her most recent project is a laundry room makeover and there are all kinds of things to love in this room! Check out her blog for before/after photos and a full source list. 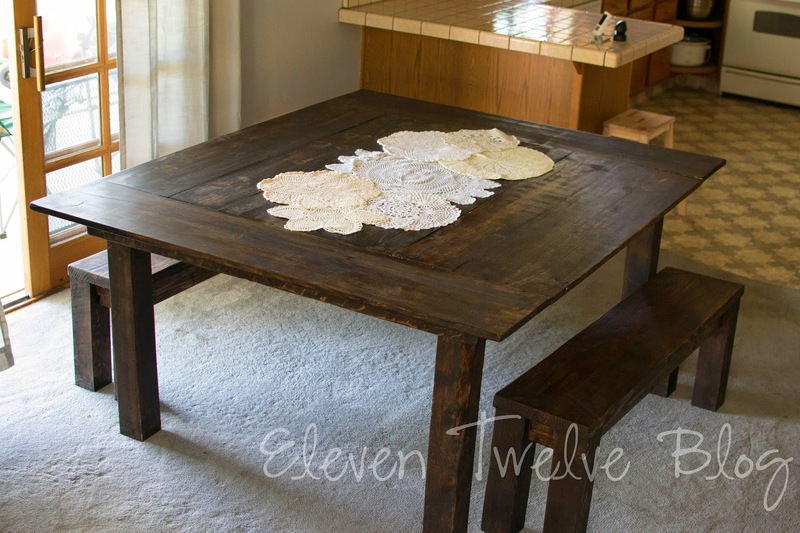 Savanna's husband built her this amazing dining room table featured on her blog, Eleven Twelve Blog, for their anniversary. That's a dang good gift if I do say so myself! Well done, hubs. Sarah over at This Sarah Loves painted her powder room vanity with some DIY chalk paint. It looks great! Jen from At Home in the Northwest just completed a client's living/reading room makeover. She nailed it, right?! This is so "Michelle" in terms of the color palette... light blues, neutrals and touches of black. In fact, I think I spy a rug pretty similar (if not the same?!) as the Pottery Barn rug we have in our living room?! Great job, Jen! For my pick this week, I'm going back to another ripped out magazine page for inspiration. Blogger Joy from Oh Joy!, the same Joy who worked with Target to create a party supply line, has teamed up with another major retailer- Land of Nod- for another fabulous collection. Seriously, Little Lady June needs this bedroom in about five years. Adorbs. It's not too early to send me your submissions for next week's Tuesdays at Ten June! Shoot them over via email (tenjuneblog@gmail.com) or on Instagram (#tuesdaysattenjune)! Thanks so much for featuring me again Michelle! You're too sweet! Great features as always Michelle!